Hey everypony! This group still alive? @greydragon412 http://www.twitch.tv/pax/b/314131191 Start at 49:00-1:50:00. Have fun. @greydragon412 I loved the bit where there was a posty about a certain folder and yet, you could still see the folder. OH MY GOD. The !RvB Finale just blew my mind with the ending!!! 1 hour until the !RvB Finale! @greydragon412 I am !RvB FTW :3 and then Season 10 comes..
@Greydragon412's command of !RVB is impressive. !RedvsBlue RT's new guy is a Brony. http://roosterteeth.com/blog/viewEntry.php?id=2768757 We're slowly infiltrating them. @fnordly I use adblock plus, I wouldn't know. Heya ponies! How're we all doing today? @rotation I was just like "WELP MECH TIME" and everything was over. !rvb Caboose: "Time is not made out of lines... It is made out of circles. That is why clocks are round." Fast forward to the episode of Futurama season 5 where TIME IS MADE OF CIRCLES. Wait, the next season of !Rvb started already? !rvb This is possibly the best series they have ever created. ever. @greydragon412 yes, I loved the animation. actually they have always done very well with it. @greydragon412 yeah, they both are very similar anyway in both voices and how they fight. 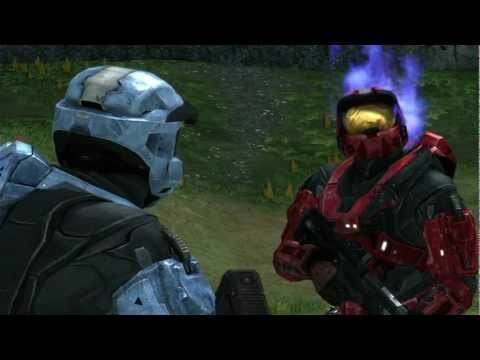 @greydragon412 I need to see the first 3 but I didn't know that season 9 was out in !rvb I love those guys! @greydragon412 I am, just I didn't know they started putting them up yet. @extremedash Yup! I even had one of the 'It's Lightish Red' T-shirts. @artrageous *Bleep Bloop* You just unlocked an achievable! @greydragon412 nooooooop the host they use for their movies won't play on my phone!!! !